Gain Theory’s Claudia Sestini discusses the numbers behind marketing excellence. This year’s Marketing Society Excellence Awards displayed the UK’s bravest and most impactful marketing achievements. Direct Line, Mars, John Lewis, The National Lottery, ITV and many more can now be added to the marketing hall of fame providing inspiration for years to come. Reading the case studies, you get a real sense of vision and purpose. But what about measuring impact – the numbers behind marketing excellence? What role does measurement play in the ad campaigns that steal headlines, generate sales, and win awards? In a world where a marketer’s currency isn’t solely focused on creative anymore, the data gold rush has taken its hold. A rush to measure, validate, optimise and manage based on the insights from the data mine. Before we marshal marketers towards the fountain of eternal data and insights, let’s stop and think about the end goal. Why we’re doing it, how and when we should do it, the impact on marketers and crucially the business. Research carried out earlier this year, conducted impartially by an ex-CMO with senior marketers in the US representing brands with a total of $1.9bn advertising spend, confirms a number of marketing measurement pain points: Metrics overload, or analysis paralysis; short termism, organisational structure and the need for one source of truth. With this mind, the Society and Gain Theory have been collaborating to explore these challenges and how we solve them with senior marketers across global hubs – New York, London, New Delhi & Singapore. 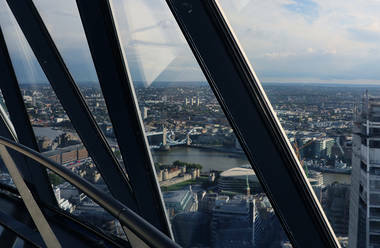 Over dinner, high atop the London skyline at the lofty heights of the Gherkin, the Society convened Excellence Awards judges, winners and a wider group of senior marketers to take a 30,000 foot look at the choppy marketing measurement waters. We were in good company with marketers including Jaguar Land Rover, Direct Line, Samsung, HSBC, Wiggle, Hiscox and more. There was broad agreement on the following fact: we have so much data we can now measure the arse out of marketing. In addition, some of the metrics are not sufficiently linked to business outcomes. As one marketer said ‘We have too many metrics that are not financial’. The consensus is to focus on the metrics that really matter. One marketer said that her view on measurement was simply, “Do they see our comms and will they buy more as a result?” Everything else, it would seem, is salad dressing. Then, there are metrics that we need on daily basis to understand and manage business impact of marketing to the ones that help us manage stakeholder expectation. Using the right ones for the right ‘internal audience’ was another solution provided around the table. Another view was around digital – Google, Facebook et al all were name dropped, of course. The thinking here is that yes do it, but learn from it. To quote one marketing effectiveness leader at the table ‘Go play, but please measure’. A challenge that was cited repeatedly, is the sharp pendulum swing towards short-term activation. It feels like marketers are bemoaning a lack of focus on long-term impact, and thus the demise of brand marketing and subsequent impact on long term growth. One view was that this is being caused by C-Suite and shareholders expecting instant results. 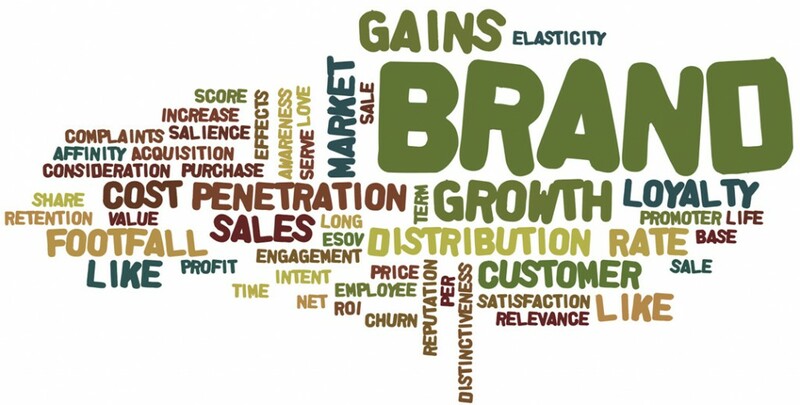 So, marketers are left wondering: how do we highlight how brand marketing can impact growth? One solution offered was using the right language and metrics when communicating to the business and especially the C-Suite. Marketers must be able to communicate growth via metrics that impact both top and bottom line. So, it follows that even long term brand impact must be able to show an ROI. Ultimately, we all agreed that short term is not a bad thing but rather that it’s not a battle between short vs long but more a case of re-evaluating short term within long term. There is a place for hard metrics and a place for being brave and trying things that are not measured or measurable. There was a sense that if you’re able to walk into the board room with a great creative idea then your short term ROI worries go out the window. Big, bold executions still win hearts and minds of consumers, and after all after isn’t the goal for marketing to change human behaviour? Apparently, the board were tasked to take the creative home for the weekend and show it to friends and family. Come Monday, the emotive, game changing power of the creative execution and its potential was clear: everyone loved it and the creative was given the go ahead. What was truly great about the dinner in London was how open everyone was about their challenges, views and crucially how happy they were to offer a solution to each other. This is what makes the peer network of the Marketing Society so great. There are a few key takeaways. Firstly, it’s imperative to focus only on the metrics that matter and that you can do something about. Secondly, it’s about managing a portfolio of risk both short and long term. Finally, even in a time of Big Data, there are occasions when tossing out the spreadsheet and going with your creative gut can move hearts and minds and ultimately ROI. My final thought is that marketers are well placed to set the agenda for measurement. Not only do we have the data and resources to hand to measure top and bottom line growth but we also possess, in my mind, the biggest power of all: the ability to tell compelling stories that touch the hearts and minds of people. We must be braver and bolder in using the story telling ‘super power’ more with internal stakeholders, remembering to utilize the right language for the right audience whether C suite or across the organisations. The world is data rich. We are inundated with data feeds and each new data feed comes with its own KPI that is shouting for your attention. How do we sift through the innumerable data feeds today to focus on what really matters? Historically, many marketers have used MMM as a technique to understand what is driving sales. Although this is still a good technique, especially for calculating marketing ROIs and macro media planning, MMM assumes that customer engagement and the way people interact with your brand remains constant. Not only does most activity that marketers run is designed to do the opposite, such as changing the way that people think and interact with the brand, but the technique also uses data from up to three years ago. Jon Webb, Managing Partner at Gain Theory, shares the latest predictive analytics techniques in a panel at Marketing Week’s Data Storytelling Conference in London. As marketers, many of us start our careers mastering our craft and learning the art of marketing, advertising and communications. A few years pass and we start managing teams, and with this comes the development of new craft: balancing the needs of the day-to-day job whilst inspiring our colleagues and team members to help them achieve their full potential. Then, there’s leadership – not just leadership of large marketing teams but leadership within the organisation, flying the flag for business growth and the ability to inspire everyone with a vision that will rally the troops towards a common goal. Unfortunately, that’s not a skill that is directly taught but, it’s an area where most of us want to be successful. However, the path to becoming a marketing leader presents inherent challenges which can, in part, be progressed if we have honest, uncomfortable and brave conversations around the topic with peers and leadership experts. Our 20 high-calibre dinner guests spanned a range of industries – banking, telco, tech, retail – and passionately took part in the conversation. The opinions expressed were lively and arguments were passionate – there was no place to hide for those lacklustre in opinion. The table was set and by god, the conversation was going to crackle throughout the evening. You have to find the ‘value creation zone’ – projects that matter to your CEO and your customer. Where the two overlap should be your point of focus. One of our guests pointed out that whilst we try to become leaders, marketing is under immense pressure to answer a multitude of questions. Who are our high value customers? How do we cross-sell across category? How do we invest in innovation? How can you deliver and exceed customer experience? Then there is the tug of war between short term results and long-term effects of marketing activity. There is no other department being asked such a range of questions. One solution offered was to balance the expectation of these questions, how they ladder up to business objectives and agree metrics by which to measure them. When the conversation shifted to the trend that marketing initiatives and budgets are getting the last slot at the board meeting, there were a number of empathic nods around the table. There’s an expectation for marketing to come into the Board meeting with the fun campaigns, the pretty pictures and talk about softer metrics which don’t resonate with business language used in that forum. One marketer said we need to ‘de-glamorise marketing’ and present the numbers that ladder up to business key performance metrics. Once you do this, the Board will start to lean in and take notice of the value that marketing brings in. Marketing can then start to be perceived as an investment that has tangible impact on the P & L instead of being perceived as a cost. one senior marketer pointed out that Marketing Attribution – understanding which marketing investments are working, in real time – is a real challenge and there is no common standard. There’s a need to understand which tech platforms to invest in, education around the topic and a need to invest in the right skillsets. Metrics were a recurring theme, underpinning most conversations during the evening. Thomas pointed out that agreement on the key success metrics takes time, it might even take a year, but is worth investing the time. “Ask sales what is meaningful to them in terms of metrics and work hard to satisfy and if not exceed this” said one marketer. Another said “It is your job as a marketer to set expectations. Satisfaction is ultimately about managing expectation and matching that with the right delivery”. Whilst the take outs listed above are all immensely helpful to our journey in becoming leaders, W.B. Yeats’s quote rings particularly loudly in relation to our dinner in Delhi. Mostly because the fire that was lit that evening through honest, uncomfortable, passionate and brave conversation led to the education of all around the table. This article was originally published on The Marketing Society site. On 22 May The Marketing Society partnered with Gain Theory to host an inaugural dinner in New York, following a successful CMO lunch during Advertising Week last year. Our goal was twofold: to understand the value that The Marketing Society could bring to the senior marketer community in the US and discuss findings from a recent piece of CMO research into marketing effectiveness. With this quote from a senior US marketer we are reminded of the very real need for the joint mission of The Marketing Society and Gain Theory global partnership. We are collaborating to empower marketers to be braver, bolder, faster and smarter, which is crucial given that marketing leaders feel they are a long way from reaching their full potential. So, over a fabulous candlelit dinner with the added touch of a Chief Magic Officer by Johann Bayle, a stellar group of senior marketers from the likes of Diageo, Samsung, Amex, WeightWatchers, Pepsi and many more congregated. There’s a cornucopia of marketing organisations in the US catering to the insatiable thirst for knowledge offering up a never buffet of networking, thought leadership, best practise, awards etc. Yet, the marketers we spoke to in New York are left hungry. When Gemma Greaves, Chief Executive asked people what value they felt the Marketing Society could add there were common threads to virtually all of the replies. A safe place for honest, challenging conversation; a place where you can be honest about what you do and don’t understand; thought leadership that makes you bolder; help from your peers without bias or judgement; somewhere you can actually drive change; a circle that liberates and helps you think; a true sense of community where you can tackle conversations that we normally don’t talk about. Ultimately as Gemma put it, The Marketing Society could provide ‘a safe and comfortable place to get uncomfortable’. Having opened the door to honesty and uncomfortable conversation we tackled some insights around marketing effectiveness. Manjiry Tamhane, Global CEO at Gain Theory, took the group through some unbiased CMO research conducted recently in the US around marketing effectiveness. The research revealed that marketers within global brands are still searching for a guiding light when it comes to marketing measurement, decision making and strategy based on insights. They are being paralysed by ‘infobesity’ caused by ‘too much’ research, data ‘lakes’; confusion around metrics that matter and insights that take too long to develop and are regressive in nature. Then there’s the lack of the right structure internally to make best use of any insights. For many, the issue was around getting agreement on which metric to use… i.e. which are the metrics that matter? There was a sense of frustration…‘The biggest irritation in marketing is always being asked the same question over and over again. Invariably the answers are always the same, just a different brand manager answering’ said one marketer. “Our research department spends a lot of time diving into qual, quant and data analytics. By the time it does the rounds internally – blocked by silos, questions about metrics and what it means – there’s very little that we can actually use” said another. When it comes to data, one marketer pointed out ‘’Brands that ask the right questions will get the most out of their data’ with another marketer cautioning ‘we need to unlearn our dependence on data’ as some marketers in big brands have a tendency to ‘hide behind data’. The Marketing Society and Gain Theory will continue to canvass senior marketer participation across many of the global hubs to understand the challenges and pain points we are faced with when it comes to validating marketing value. Ultimately the aim is to unite marketers around the challenges, and together as a marketing community, find solutions that enable bolder, braver marketing through faster, smarter decision making. As consumers, we are subjected to it every hour, every day and, in some ways, we have already accepted this as inevitable and positive part of our online experience. For instance, beauty and luxury car companies almost entirely withhold their ads from my laptop screen. Instead I’m the prey of food and beverage companies, and thanks to my girlfriend, female fashion. But I’m ok with this; it means I see adverts that are likely to be of interest. It wouldn’t be possible without brands being able to access data to enable programmatic advertising which in 20151 grew in the US and UK by $5.91 billion to $17.5 billion. Targeted advertising is just the start. The evolution of brands involves using social data and online behavior to help them set prices based on the individual, otherwise known as price discrimination. The word “discrimination” carries a stigma, but in the world of digital media, it’s a good thing. Price discrimination is not a new concept in the Financial Services industry. Banks charge interest rates based on how likely a customer is to be unable to repay – this seems fair, people with good credit ratings don’t pay for those without. Car insurance companies charge premiums based on a number of characteristics such as experience and claim history. In November 2016, Admiral intended to launch their tool, firstcarquote, to use individuals’ Facebook activity to help determine a suitable premium. However, on the day of the planned launch, Facebook made the decision to prevent Admiral from using Facebook post data in order to protect the privacy of its users2. Despite the setback for Admiral, other companies have had more success in using personal data to inform price. Vitality, a health and life insurance provider, enables members to factor in consumer activity levels into the price of an Apple Watch. People pay a small upfront cost ($57)3 and then 24 monthly payments between $0 and $13 depending on how active they have been. In other words, Vitality price discriminates based on the activity level of each customer. So why did Admiral get shut down and Vitality pass muster? In both cases, the customer has to agree to their data being used. In the case of Vitality, however, the rules are transparent: the wearer gets points for different types of activity, and points mean prizes. For Admiral, the rules were less clear, in fact the principal data scientist, Yossi Borenstein said “Our algorithm for calculating what ‘safe’ looks like is constantly learning,”4 In other words, it will constantly change. There are also concerns regarding how peoples’ behavior on social media will change if they are aware that it is being used by companies to set prices. How might you change your posts, what you like and the groups you join if it impacted the price you pay? One of the core concepts of social media is for people to have the freedom to share their lives and interests with the world. Personal data is no longer limited to just targeted advertising (e.g. programmatic display and video) – it is now also used for price determination and perhaps in the future this may extend to product eligibility. To quote the epitome of advanced technology (the Borg – Star Trek) “Resistance is futile,” and it may even result in harming the consumer through higher prices and less choice. Better instead to direct the flow of innovation by participating in the conversation. Digital discrimination can create win-win situations; Christmas shopping for my girlfriend was made easy this year by positive discrimination being applied to me by women’s fashion through retargeting. Rather than going hunting for gifts my girlfriend might like, gifts my girlfriend had already viewed came hunting me. 2 BBC, 2016. http://www.bbc.co.uk/news/business-37847647. Accessed on 12 Dec 2016. 4 Guardian, 2016. Admiral to price car insurance based on Facebook posts. Accessed on 12 Dec 2016. Article originally published by MediaPost here. Digital marketing channels today are divergent – search, video, social, display, email, mobile – the list goes on. Marketers have a myriad of options to choose from to reach consumers to hit KPIs. But the biggest challenge is understanding which digital media work best…and how to optimize those. The holy grail of many brands today is establishing which digital investment gets the credit for delivering a conversion event. Where should we spend our money? What can we cut from the budget? How? When? As more media is bought digitally, more data is produced and with that comes an ability to measure effectiveness at a granular level. The future is increasingly connected and for some big digital advertisers, requires the right measurement solution. Digital Attribution can provide the right measurement and optimization solution. But you need the right tools and conditions to do so and what’s more – it’s not for everyone. We have compiled an 8 Step Guide to Digital Attribution to help navigate marketers through the subject and understand whether it’s a journey they want to embark on. You can read the in depth article published in AdMap, by downloading the article on the top right hand corner of this page. Visit our digital-attribution.com website to view the video. It feels like every time I head to the iridescent French Riviera town of Cannes for Cannes Lions – the aptly named ‘festival of creativity’ – the event morphs year after year to mirror the evolving needs of the industry. No more the reserve of the ‘creatives’, it is now a bouillabaisse stew of marketers, tech companies, media, agencies and not forgetting the evangelists of the ‘future-of-marketing’ – all meeting and strategizing on how to best blast their marketing message through the dense fog of media saturation. In recognition of the fact that marketers are now under pressure to innovate, utilise data and technology whilst creating emotive experiences for consumers, Cannes Lions launched the ‘Innovation’ conference and awards last year – a two day conference and showcase that returned for its second annual event on the 21 & 22 June this year. I caught up with Rob Dembitz, Corporate Development Director at Cannes Lions to find out more about innovation. The Innovation conference culminated in a set of awards which included the ‘Creative Data’ category where we saw ‘The Next Rembrandt’ pick up a grand prix award for the Microsoft machine learning AI who created an entirely new painting by the infamous painter. In addition to Cannes Innovation I immersed myself in ‘fringe’ events including YouTube’s ‘Adventures in VR session’ and WARC’s panel featuring Samsung’s Marc Mathieu on ‘Marketing in an Era of Personalisation’. To see the full download, view the presentation in fullscreen below. Ronald Mcdonald Houses give families the chance to remain close to their child whilst they are in hospital. Their location, as close as possible to one of fourteen specialist children’s hospitals across the UK, means that families can be by their child’s bedside in a matter of moments, whilst maintaining a degree of normal life and reducing emotional and financial strain. The Houses are run by a dedicated team of caring and compassionate staff (some of whom, it turned out, have themselves been guests at the houses), volunteers and supporters. Without the volunteers, the charity would not be able to offer the families the support and care they need. In 2014 the Houses supported over 6,000 families while their child was in a specialist children’s hospital. Gain Theory team members Zosia, Alex, Noel, Emily, Paul, Alicja and Lara visited the Camberwell house which serves Kings College Hospital in South London. It takes £317k per year to run this one house. In 2015, 441 families were helped to stay close to their children in hospital thanks to Team Camberwell. After a brief tour of the communal areas of the house the team set to work. As the British summertime had finally decided to show up, they chose to work in the garden. The house aims to provide as much normality for families as possible and the garden is, amazingly for its location in London, very large. Zosia, Emily, Noel and Lara brightened up the pre-existing raised vegetable and fruit beds and Alex and Alicja painted the fence, Paul did some painting inside the house and then he and Emily created some fantastic “tyre art”. Alicja also made some delicious muesli flapjacks, which soon disappeared. As most of the families are at the hospital during the day time, the house was quite quiet, however we were treated to a cup of tea by the five young brothers who were resident with their dad that day. As well as being for a great cause, it was a fantastic opportunity for some members of the London Team to bond further as a team and make a difference. And it was great fun! It’s not just cash donations that help the Houses. They have an Amazon wish list where you can easily donate items here. If you would like to know more about Ronald Mcdonald Houses, including how you or your team or company can get involved, visit their website here. Videology, a leading software provider for converged TV and video advertising, commissioned Gain Theory to conduct a study to analyse the impact of video in driving offline sales to help gauge the true effect of video in the marketing landscape. For this study, Gain Theory worked with a select group of advertisers across industries, using advertiser first party media spend and sales data, Videology campaign data, and Gain Theory econometric modelling methodology to get to these results. The objectives were to show the ROI of video, how this compared to TV, and to understand how inventory quality impacts ROI. The brands in this study had varying budget levels, target audiences and creative messages for their TV and video campaigns. “Video certainly performs as a medium in driving sales activity offline – with every case study showing a positive ROI. Econometric modelling provides the closest we have to empirical evidence of the relationship between media consumption and purchase activity in bricks and mortar stores so it’s great to see the power of linear TV and video in combination. When you look at consumption trends it instinctively makes sense but this is the first time we’ve been able to really objectively prove it“, said Rich Astley, UK MD, Videology. To read the full report click on the download link above. Manjiry Tamhane, WW CEO of Gain Theory, judged the Creative Data Lions recently at the Cannes Lions Advertising Festival. Inspired by what she’s seen, she considers how data and technology have changed the way people interact with advertising, and how some of the most creative and effective advertising campaigns of the last decade have only been possible because of the data available to marketers. I’ve read several articles recently suggesting that there is still a reluctance among some creatives to accept the idea that data has a role to play in influencing their work. I find this surprising as I don’t believe there is a campaign launched today, be it brand led or direct response, that isn’t directly or indirectly influenced in some way by insight or data. This year’s Creative Data Lions entries are testament to this. One of the most decorated in this year’s awards is the JWT campaign “The Next Rembrandt”. This work is a fabulous illustration fusing data and creativity to produce an incredible creative piece of work that simply wouldn’t have been possible previously. The campaign used data from 346 real Rembrandt paintings, digitising every aspect to recreate a “new” Rembrandt masterpiece. The result in itself is a beautiful piece of artwork but there was a commercial objective behind the campaign too, promoting investment bank ING’s long association with art and innovation. A job well done I’d say. Data and insight on the increasingly cash rich, time poor US population led marketers to push the labour saving automation of kitchen and laundry appliances. Several decades later, Dove, who in 2004 were looking to build brand love and loyalty, launched the Dove Real Beauty campaign based on the findings of a major global study. The initial survey highlighted that only 2% of women consider themselves beautiful. This statistic in itself was the catalyst for a long running campaign strategy that would go on to win all top 5 Campaigns of the Century by AdAge. The volume, depth and speed of data availability, together with the advent of mobile and digital is placing ever growing demands on our attention. This has made the ability for data to influence creativity difficult but absolutely necessary. So, the debate isn’t really about whether data should inform the creative process, because it does, but rather is it being done in the right way, all of the time? I believe that many marketers pay lip service to data, at their peril. Let’s look at retargeting as an example. Through attribution modelling, it’s possible to look at event level data and see which publisher, platform, placement, creative execution or tactic is working the best. Combined with behavioural and contextual insight, it is possible to target someone who has behaved in a certain way or is in the right place at the right time. This can be a very effective method of encouraging someone to move through the funnel and into the purchase phase. However, many advertisers are not fully closing the loop, continuing to target a consumer after they have made a purchase. This can of course be frustrating for the consumer and jeopardise positive brand perception. It’s no surprise that brands mis-target people. We leave crumbs of data wherever we go, whether it’s our location, the sites we’ve visited or the pages we viewed. But they are just crumbs, not a complete picture. So digital campaigns are serving ads not to an individual but instead towards an audience based on a patchy picture of characteristics and behaviours. It’s important to think through the process and determine the risks of alienating your intended consumer before embarking on a retargeting campaign. On a positive note, when advertisers cleverly take advantage of data, the impact can be highly effective. A great example is the campaign by US motel chain, Red Roof Inns. In the midst of the harshest winter in decades, the brand identified that between 2 and 3 percent of U.S. flights were being cancelled every day. With properties near some of the busiest airports in the country, Red Roof was in prime position to capitalize on travellers’ misfortunes. The brand leveraged proprietary technology to aggregate flight cancellation information in real time and used it to specifically target travellers with cancelled flights, via a mobile search campaign, at the moment they were seeking accommodation for the night. For truly effective campaigns, data must act as the spark that ignites the creative execution which in turn captures the consumers’ imagination. Essentially, it’s about ensuring that you understand your customers incredibly well, in terms of their demographics, behaviours, attitudes and needs, coupled with clever ways of leveraging the data in an engaging and eye catching way. Most importantly, it needs to be truly personal and not just targeted. A great example of this, winning a Silver Lion in Creative Data, was Vacation Matchmaker from VML. The campaign served real-time targeted and personalised pre-roll videos with a vacation theme. The messages were changed in real-time based on data from online behaviours, likes and interests with over 2,000 video combinations. The advent of innovations such as the ‘The Next Rembrandt’ and Jukedeck’s AI music composer brings the possibility of real-time targeted and personalised creatives even closer. There is no doubt in my mind that the availability of customer data and the rapid advancements in technology are fuelling creative ideas that have already changed the way consumers are interacting with brands. I’m very excited to have judged some of the world’s best examples of creativity fused with data and technology at this year’s Cannes Lion Innovation Festival. Long may this fusion of different approaches continue.